A New Paradigm in Crew Connectivity? Despite some recent suggestions to the contrary, demand for crew connectivity remains a strong driver of the maritime communications market. The Maritime Labor Convention is among the factors encouraging service upgrades and higher spending, but there are other fundamental forces at work and across our industry. Shipowners and operators, managers and crewing agents need to understand what is happening and how to manage this change in a positive way. The economics of maritime communications are evolving very fast. Greece-based Eastern Mediterranean Maritime Limited (EASTMED), a shipping operator servicing the energy, industrial and agricultural sectors, has chosen to install Marlink’s global VSAT (Very Small Aperture Terminal) communication solution with L-band back-up on 20 tankers and bulkers. EASTMED aims to achieve greater operational efficiency to support its clients with cost efficient transportation in a safe environment. 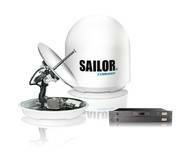 The VSAT solution will be completed with the full SkyFile suite to provide EASTMED crew with high-level Internet access and cost-effective communication. After launching its Terrestrial Broadband Network (TBN) just more than one year ago, MTN Communications (MTN) announces the number of TBN-connected cruise ships has doubled and covered regions have tripled. Since the MTN TBN kick-off in Alaska in the Summer 2013 cruise season, several MTN partners, including Norwegian Cruise Line and Princess Cruises, are leveraging this new technology to enrich their passenger and crew communications experience. Thanks in part to this new technology, the MTN hybrid network now delivers approximately 10 Terabytes of data daily. InterManager, the international trade association for the ship management industry, has started 2012 with significant expansion. In the first month of this year InterManager has welcomed two Full Members – ship management companies Histria and Green Wave – and two Associate Members – international law firm Hill Dickinson and crew communications provider SMART Link. And building on this momentum, InterManager has appointed Captain Paddy McKnight to the role of its International Maritime Organisation Permanent representative.